It's long been known that the best place to start is at the beginning. Weaver Interlock does just that, starting with Creation and moving through to the Flood. As each aspect of Creation is studied biblically, application is made to the physical, created world in which the child lives. Subjects such as social studies, science, language arts, math, health, art, physical education, memory work, and music are all integrated into the Bible lessons. What does this mean for you? Other than your Bible, all you need is a few common household items for the activities and some picture books when necessary—everything else you need is located in this one binder! As a further convenience, a music tape is also included with the program. Words to the songs are provided within the Interlock Binder. But that's not all! Interlock includes a resource section filled with patterns for manipulatives and pages for supplementing the lessons. And there's more—a complete supply list is included, with general supplies needed for the curriculum and specific supplies needed for various weeks. Designed to be taught three days a week, you can dedicate the other two days to phonics and field trips. 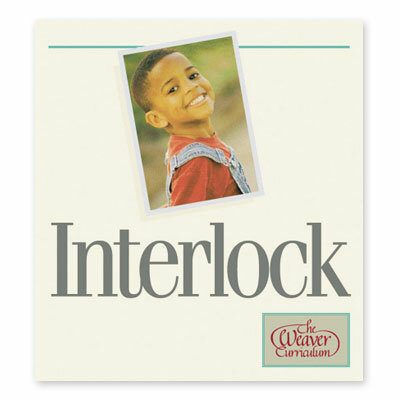 Whether you're homeschooling your first child, or establishing a foundation in your third, visit Alpha Omega Publications today to order Interlock. Homeschooling has never been this fun!